The HSM Paper shredder has numerous features designed to enrich the user’s experience. The HSM2362 model was designed to create ease and convenience for the user. Furthermore, the HSM Pure 630c has an installed automatic oiler. 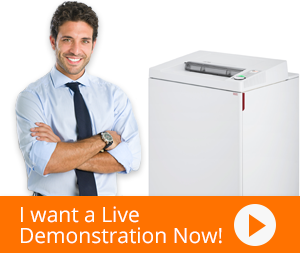 This feature is very advantageous as the users will no longer be required to oil the document shredder. HSM Pure 630c cross-cut shredders has anti-jam technology that ensures an accurate and exact shredding job. Moreover, the Energy Management Control System helps the shredder consume low power. Additionally, this shredder is able to operate without creating excessive noise. The HSM 630c cross-cut shredder is perfect for small offices with limited number of users and is capable of delivering remarkable performance.